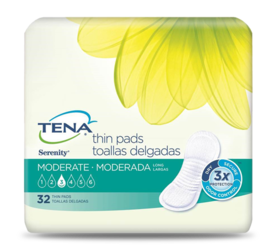 TENA® Serenity® Moderate Thin Pads Long for moderate urine leakage are ultra thin and have a superabsorbent core to lock in liquid quickly and Advanced Odor Protection to fight odors. 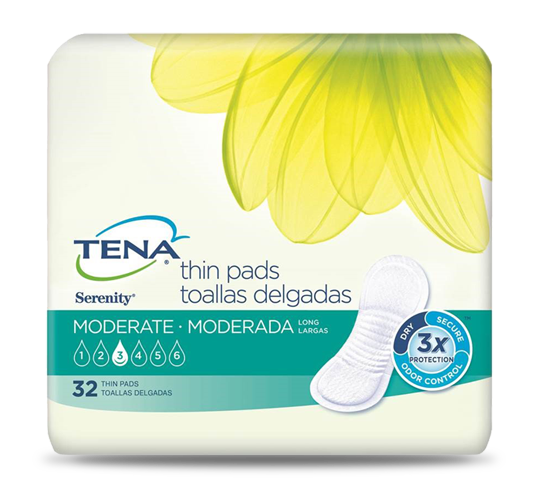 They are longer and have a shape that follows the body's natural contours for a great fit. 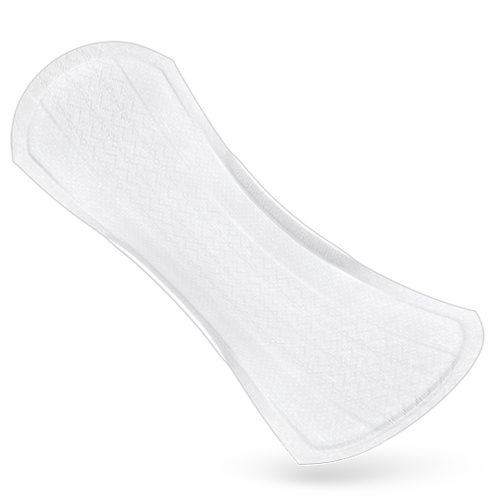 There is also a soft, cloth-like top layer for extra comfort. This product is pH-balanced to fight odors and promote discretion and freshness. 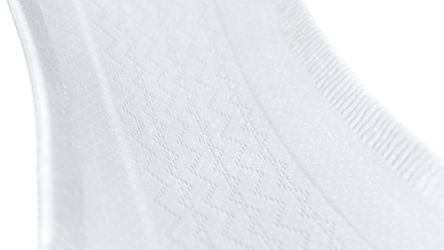 Dry-Fast Core™ with super absorbent polymers helps to wick away and trap in liquid quickly for effective leakage protection. Soft, Quick-Dry topsheet helps to pull in liquid fast for wearer dryness. 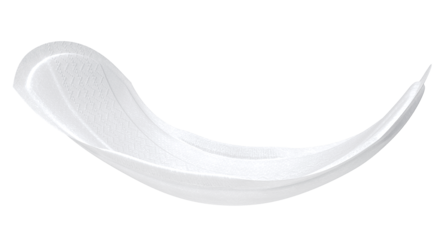 Cushiony side gathers provide a fit that conforms to the shape of the body for a highly secure and comfortable protection. Adhesive strip for secure fixation in ordinary underwear promotes a sense of dignity and comfort.